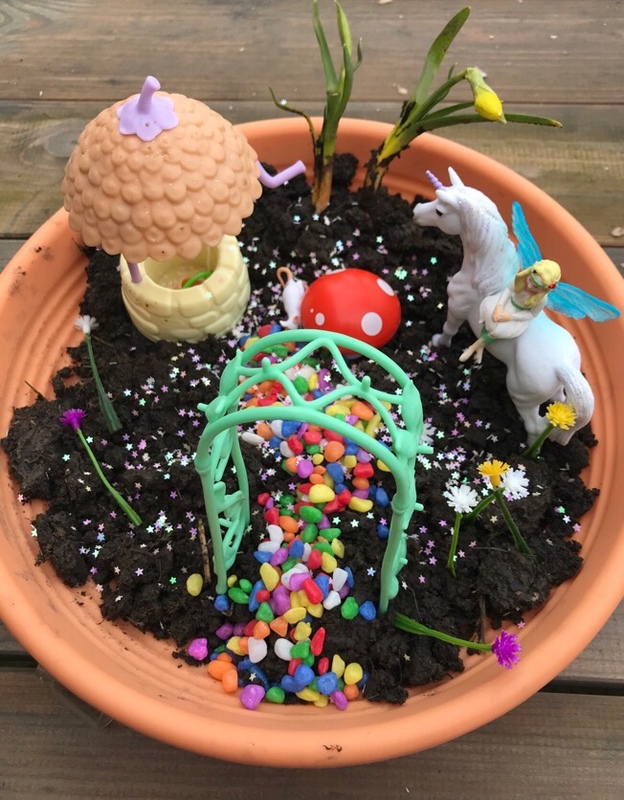 We love fairy gardens. We have had the kits in the past and Bob and I really enjoyed making them. When I was asked if we would like to review the new Unicorn Garden from Interplay I knew that would love to! When the garden arrived Bob was very excited and she couldn’t wait to set it up! It was pouring with rain so we waited until a fine day and we went into the garden to plant the grass seeds. Bob got a bit splash happy when she was watering the grass seeds and it turned into a mud bath. We had to throw it in the bin and go back to the drawing board. 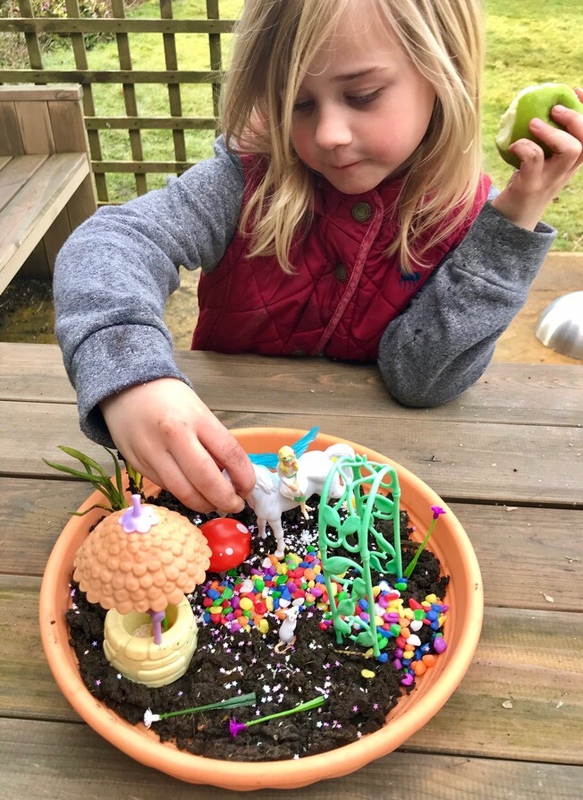 The snow also scuppered our plans but, eventually, when the snow had melted and the sun was trying to shine, we managed to create our magical garden. As we didn’t have any grass seeds we planted some little daffodils in it instead. Bob loved making the path and sprinkling the stars everywhere. Unfortunately Bow got hold of the bunting which meant we couldn’t use it but the garden looked lovely without it. 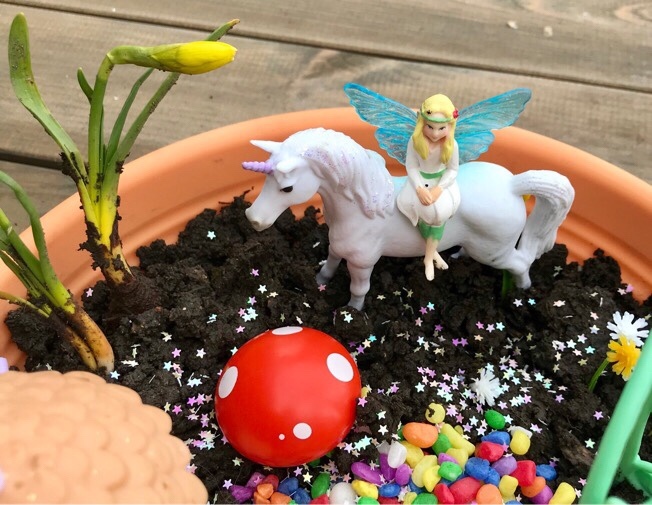 Bob has had lots of fun playing with her new Unicorn Garden. She was desperate to fill the wishing well with water but I persuaded her to wait as I didn’t want another mud bath before I had taken some photographs. This kit is so magical! It has some great little features! We love the tiny mouse and the pagoda and the wishing well are great for imaginative play. 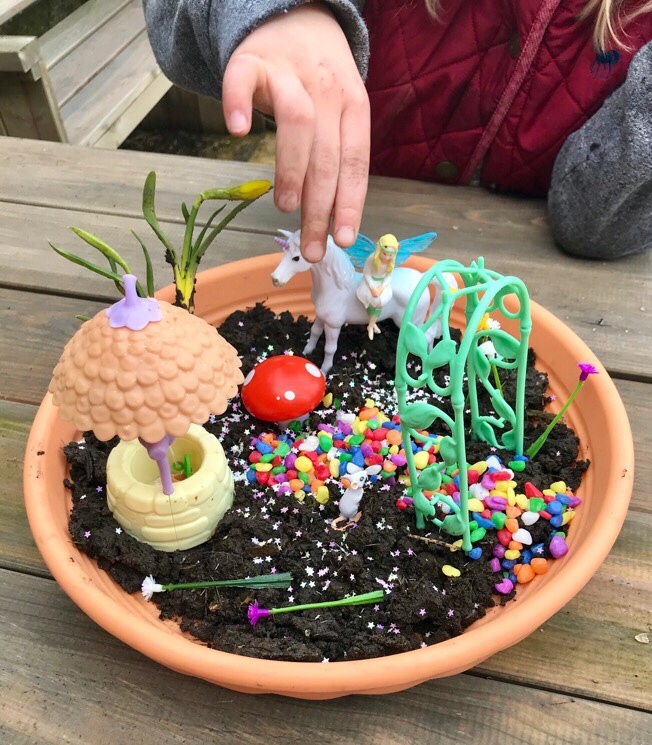 Disclaimer: We were sent the Unicorn Garden in exchange for an unbiased review.